L-A: Hooray for Friday! I’m mostly excited about Friday because Friday means end of this week and almost start of next week. I know this happens every Friday, but what makes it exciting is that next week is SuperBirthdayWeek™! (if I had flashy gifs and thought they were appropriate, I would use them now). What is SuperBirthdayWeek™? It is the week when I and a few of my closest friends, former roommates/coworkers, and relatives share birthday time*. For reals. My birthday alone is shared with two other generations of my family, a former Banff roomie, and a guy I worked with at a summer camp near Saint John, NB. I love birthdays. I really love my birthday. Which makes this possibly the best week of the year. This is my Shark Week people. Because Shark Week doesn’t come with cake for breakfast and this week does. As I gear up for SuperBirthdayWeek™, I will share with you my favouritest things of the week. if this muppet like puppy doesn't melt your heart, then you are dead on the inside. To be specific: Daily Puppy. 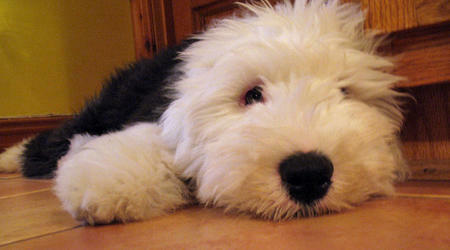 Ben posted the link to that English Sheepdog puppy and I spent half my day looking at him. I wish I was kidding. I don’t even like dogs and I want that puppy in my life. Like five hours ago. In a perfect world, he would be mine and I would name him Mr. Muggs and he would stay a puppy forever. Next favourite: James van der Memes. Oh yes. It’s just what you think it is: Dawson approved memes of himself. Yes, the constantly moving face creeps me out too. The hilarity of the site is short lived, but I will enjoy the amusement for the time being. Next favourite thing that is probably only interesting to those who are into public relations, which I am, so deal: Our unpaid staffer Anthony decided to lay the PR smack down and challenge another PR professional to a battle of press releases. (I bet you all want to enroll in PR school now!). Someone really should hire Anthony and pay him for his work. We would, but, you know, we don’t actually have any money to pay him with. Another favourite thing? Sure! 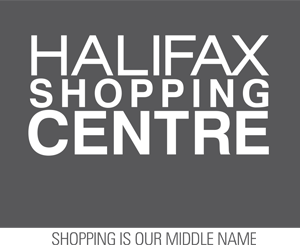 NSFashion.ca – you may remember our post about NS designers and the G8. 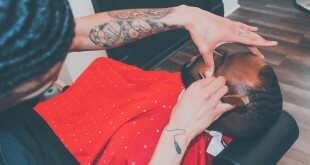 Well, some of those designers are in LA. Right now. As I type. And they’re not just in LA: they got to show off their wares at a Golden Globes gifting room. Somebody famous is going to be carrying Michique or LouLouBell or wearing one of Lisa Drader-Murphy’s designs and jewellery by Susan Hood Designs. There is even photographic evidence of it. My hope? That adorable little poppet from Mad Men picked up stuff to bring back to our girls Peggy Olsen and Joan. And finally, my most favourite thing of all: my birthday present. It may be my most favourite thing of the year. It’s a little early, but I need them early to wear to Birthday Karaoke. 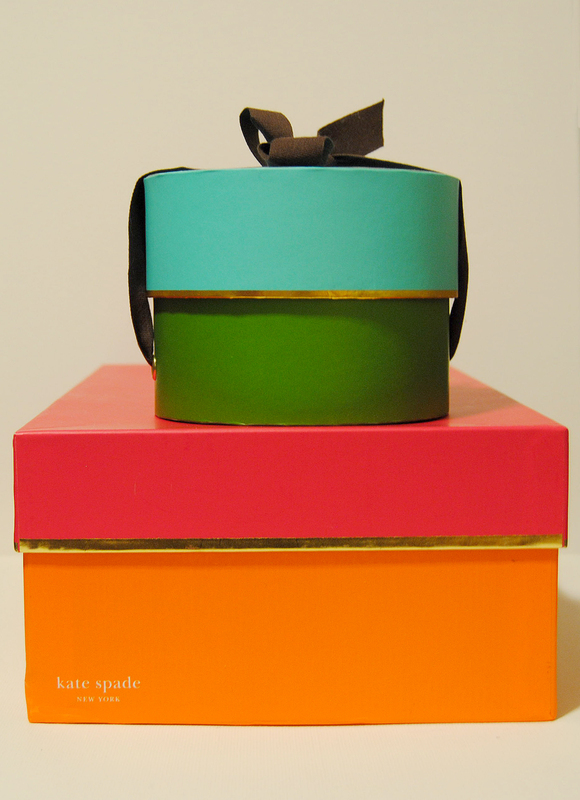 What's in the adorable boxes L-A? Oh, not much. Just the Prettiest Shoes EVER. That’s right. 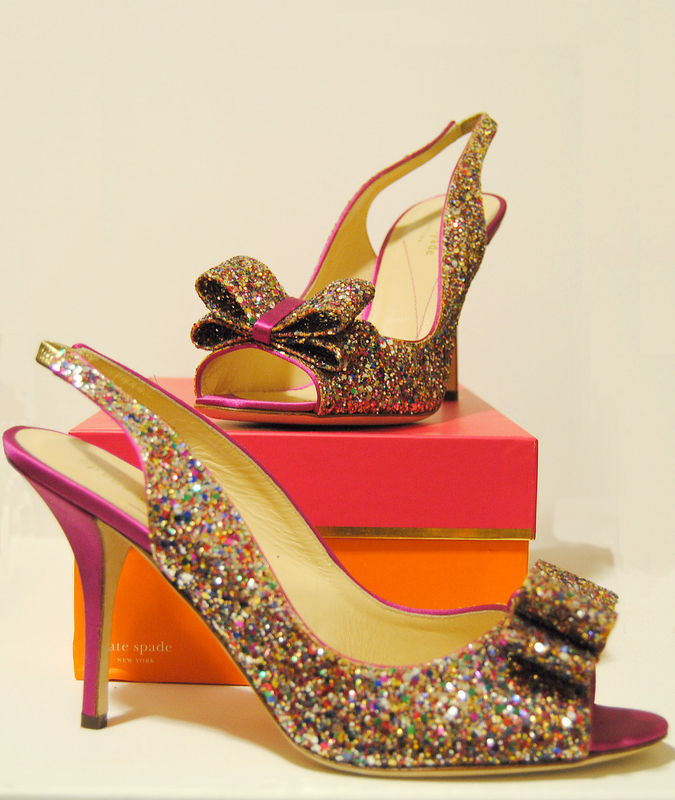 Behold the Kate Spade shoe in pink satin and glitter! They are so pretty, that I will probably devote another post just to my shoes. For now, let’s just soak in the pretty. If you’d like to see them in real life, I do plan on wearing them at my favourite karaoke on Saturday night. Oh, and I almost forgot. The obvious favourite: Targé is coming to Canada. Whaaat? *happy birthdays to the following: My late granddad, my aunt, Krawlines, MDubs, Christine, my father-in-law, M.Leslie, and Smithers. (I feel like I’m forgetting someone. And yes, the aliases are necessary for those who’d rather not have their business all over the internets). Earlier January birthday wishes, because January is such an awesome month go to: Key, Shantel, Jocelyn, and Shelley. 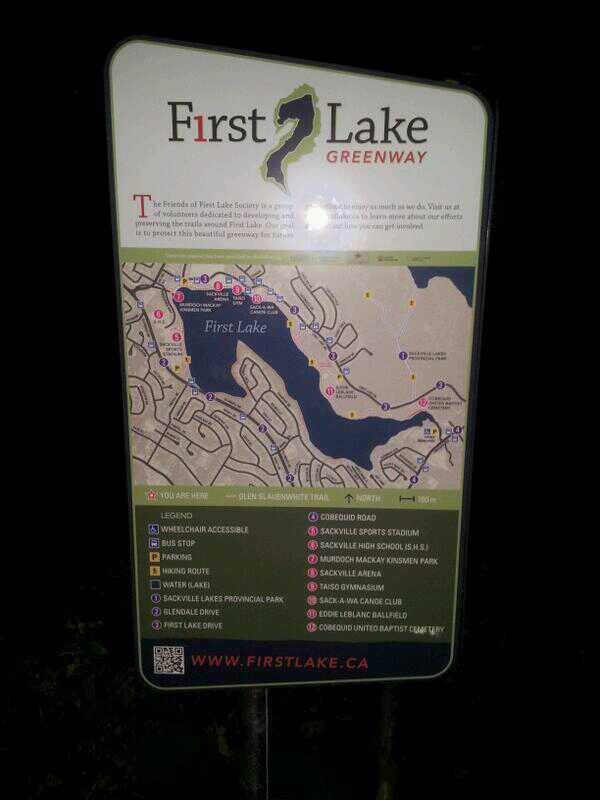 Look At The Fancy Sign For First Lake #Sackville!